17 April 2010 by J.M. Today, Daniel Melanchthon, working at Microsoft, has officially confirmed that Office 2010 has reached Release-to-Manufacturing status, after many months of hard work. Some days ago, rumors had already appeared on the Web. Since its first public beta in November 2009, more than 7.5 million users have downloaded and tested Office 2010. Apart from Office 2010, SharePoint 2010, Visio 2010 and Project 2010 have reached RTM status as well. All customers with an active Software Assurance (SA) for these products, can use the new versions. 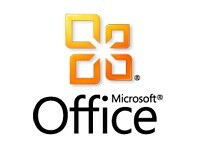 The Office 2010 download is offered to MSDN and TechNet users from 22 April 2010. From 27 April, Microsoft will offer the English software for download via the Volume Licensing Service Center. Interested Volume Licensing Customers without SA can get the products from 1 May 2010 via the official Microsoft Partners. The general availability of the products for all business customers will take place from 12 May 2010 onwards; the retail versions are being sold starting from June 2010.